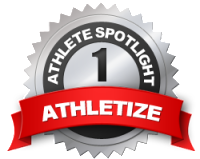 Generally speaking, only people who are fans of basketball or followed Michael Jordan’s career know about his one year trip to play for Birmingham of the Chicago White Sox organization. Michael Jordan announced his retirement from basketball in 1993, after his father was murdered at a rest-stop along the highway in Lumberton, North Carolina by two teenagers. Jordan had always been really close to his father, and had imitated many of the things he did while he was growing up. He was also exhausted from the “Dream Team” run in the 92 Olympics. 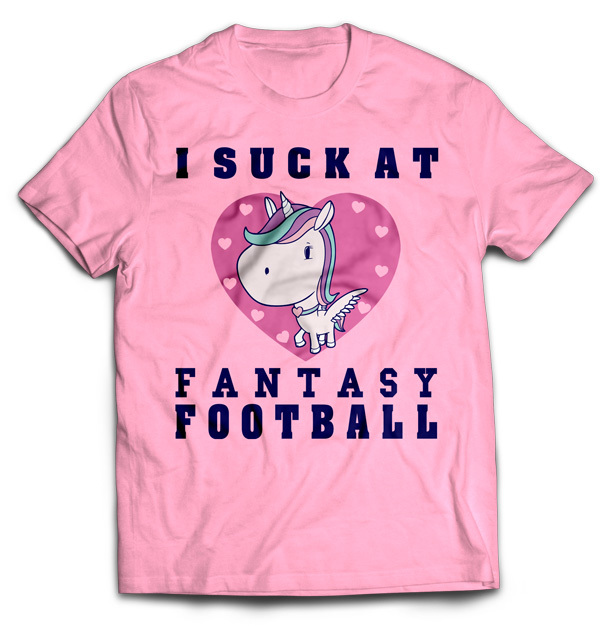 Others think that Jordan quite the game because of his huge celebrity status, and his feelings about the league. 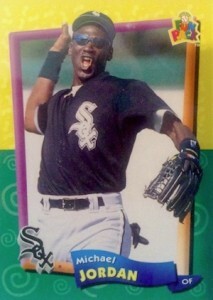 Jordan stunned the sports world when he signed a minor league contract with the White Sox in 1994, and reported to training camp for the Birmingham Barons. In his first year he had a .202 average, and three home runs, with 51 runs batted in, 30 stolen bases, and only 11 errors. 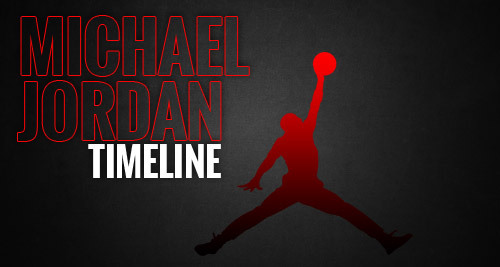 Jordan returned to the NBA in 95, but in his brief intermission for his father’s death for less than 2 years he definitely proved his capability of picking up a sport quickly. This short break allowed him to appreciate his basketball career. 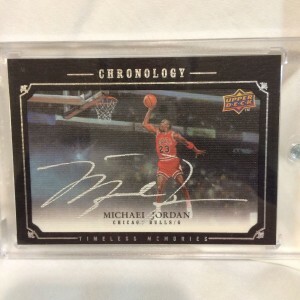 Michael Jordan cards are extremely popular in certain collectors circles, simply because his limited career with the Chicago White Sox organization. 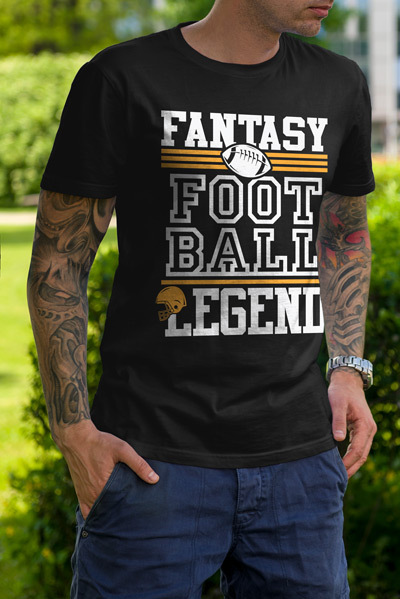 Generally speaking, his baseball cards aren’t worth as much as his basketball cards, but they’re great for novelty collectors who are looking for something a little different in their hum-drum collection. There are a huge amount of these types of cards out there, as the set was sold in 30-card team sets, and multiple copies are available on eBay. Typically, the most rare cards of the set were only regionally sold, which makes them a little bit harder to find. 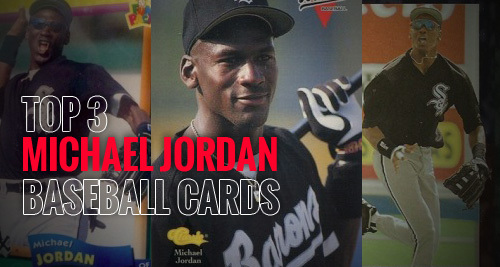 Realistically, most cards out of the pack are only worth between a dollar and ten dollars, a few of the set are worth markedly more, simply because these are the very first of just a few of the cards for Michael Jordan in his one year career with the Barons. This card was clearly aimed at kids. He’s making goofy faces, and finds himself in funnier positions than his other cards. Because this series of cards were never as popular as his other cards, they’re tougher to track down, and worth slightly more than other varieties of the same card. These series of cards have one of the few TRUE Michael Jordan rookie cards, making them worth more than other series of Michael Jordan cards released purely for collecting. 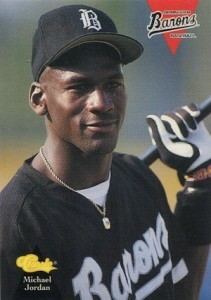 This extremely popular Michael Jordan baseball card is one of the few holographic cards that was widely distributed in Michael Jordan’s short baseball career. This particular card is only about 1 in a hundred and ninety packs- showing Michael Jordan cutting up the field to spot and field a tricky fly ball- with a rare red die-cut and a less rare blue cut with the same message highlighting Jordan’s career and accomplishments on becoming the first three-time winner of the AP Male Athlete of the Year award on the back of the card. Making strong parallel values as well as 3D technology on the front of the card, these varieties of card were much more high quality than other cards of this variety- like the “Fun Pack”. 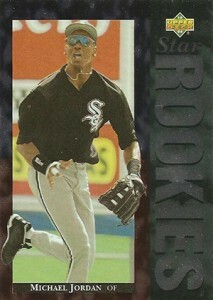 This particular card offers fans a glimpse of the superstar fitting into his position with the Barons. Typically speaking, the value of this card varies wildly, with the highest values for a perfect, never opened card averaging about $475. The low end of the spectrum includes various sellers for $12 and up for the blue variety, and more of course, for the red backed card. These cards had little value in comparison to his more famous basketball cards- and a mint variety commemorating his “Chronology” of basketball series card* is selling online for approximately $2,500- making the paltry amount for his baseball cards look insignificant. Obviously, the real draw for Michael Jordan’s baseball cards is not for the value, but because his career in baseball was so unique to his experience, and therefore gives the collector something unique and individualistic- aside from the myriad of basketball cards, you can be one of the thousands of people with something truly limited edition- proof of his exploration of a calmer, less proliferated sport at the time than his over-inflated period of fame that drove him away from the game in the first place, definitely an interesting part of the super-star’s career.